Traditions is a journey into the heart of Jordanian life and society. Traditions is also a story about identity and estrangement, love and conflict, ordinary life and deep passion. The dialogs are graded so that you will learn step by step, slowly acquiring new vocabulary and grammar as you progress. 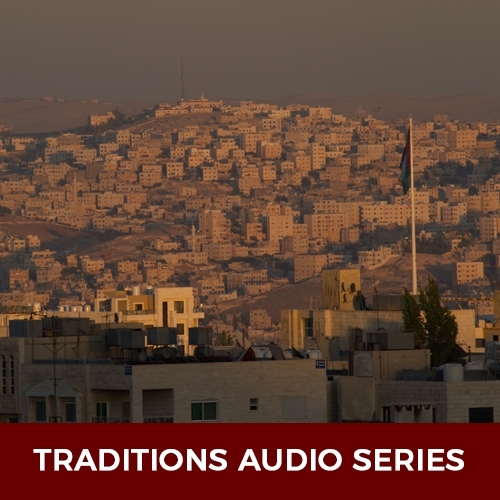 The Traditions Audio Series brings learning to life … your life, offering Modern Standard Arabic through a self paced audio program that immerses you in the mystique of Arab culture as you engage with the language itself.